Hey gang, I’m really excited about this month’s Ipsy box. When I first saw the promo pics, I had my heart set on one bag in particular. Lo and behold, I got it! I love the purple and pink/orange ombre so much! I swear, Ipsy just gets me. Exhibit B: this nail polish. Vegan, cruelty-free, and the most gorgeous shade of gray with just a hint of purple. I’m due for a fill-in and I usually just pick out a polish at the salon, but I’m bringing this one along with me this time. Once I do, I’ll post it on my Instagram. Next up is this eye shadow/luminizer from The Balm, a brand I’ve been hearing a lot of good things about lately. I’ve swatched it above and I like the pigmentation and smoothness. 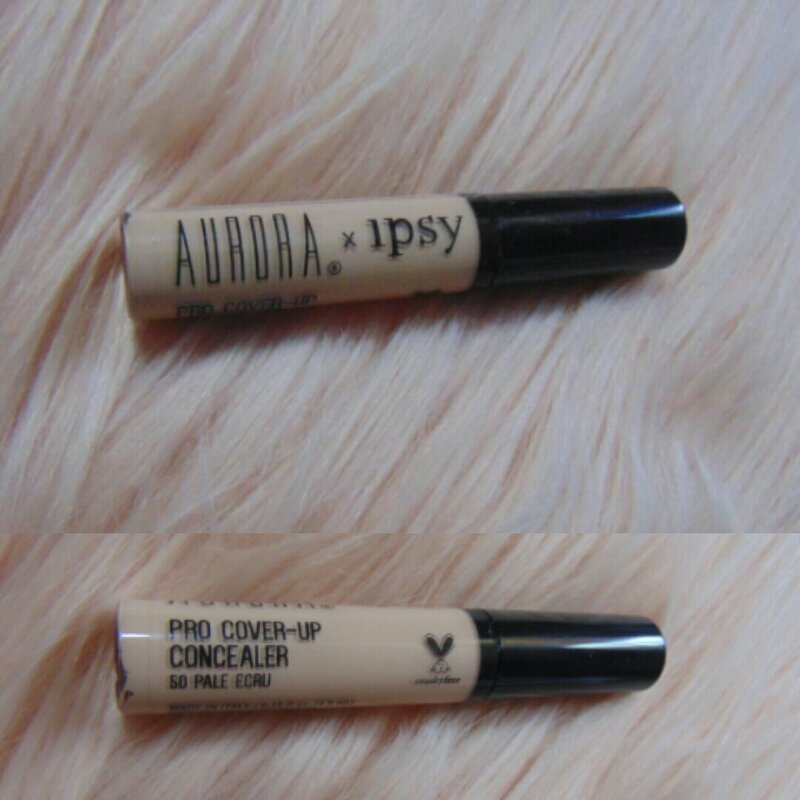 Lastly, I got this concealer from Aurora. It is cruelty-free and lightweight. Its light to medium coverage and since it is lightweight, it is buildable without becoming cakey. Here’s hoping that next month’s bag continues to nail it. Have a great weekend everybody.